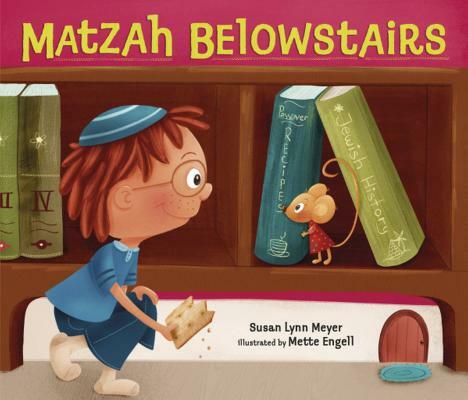 Miriam Mouse's family always celebrates Passover Belowstairs, while the human Winklers celebrate Abovestairs. But this year Miriam is finding it hard to get a piece of matzah to use for the Mouse family afikomen as the human family has decided to store their matzah in a tin. All seems lost for the Mouse family seder, until young Eli Winkler shares the afikomen with her.